Today was going to be Recycling, but I’ve already touched on the Green aspect of me and recycling is obviously part of that. So, I decided to go with 2 others instead. I love to read! I also love to research. Learning is a huge part of who I am and this is my main avenue. 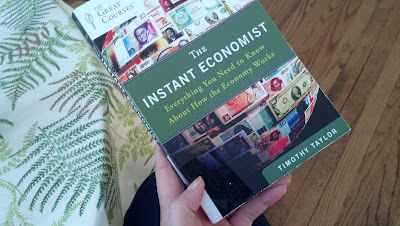 I have taught myself how to knit (minimally), discovered many great charitable organizations, and as recently as this morning, started learning a little about economics. The last item is because of my letter S! My library card is my ticket to adventure and growth. I’ve checked out some real losers from the library, but since it’s free, I had no loss! The Kindle app on my phone is always with me to put any manner of book at my fingertips at a moment’s notice. A library is one of my happy places and some of my favorite tourist stops. Have you ever been to the main branch of the NYC Public Library? Ah-Mazing!! I’m mainly a fan of non-fiction, but I do love a good yarn every now and again. I also love catalogs – for anything! I don’t care if it’s car parts, reloading equipment, hardware (another love), patterns, craft supplies, seeds (swoon)… I love looking at it. I think my brain has an insatiable need for information, not that it all gets organized or even used, it just wants it. So what’s your infatuation? Politics, news, geography & travel, fashion? I’d love to hear about you! Oh yes! I love the library too. Ours isn't so big (never been to NY but I can only imagine the glory there) but they have enough to keep me busy. :) I go between fiction and nonfiction as well. Some of the small ones are the best hidden gems. Bigger isn't always better. I LOVE reading and watching movies. Listening to loud music, enjoying good food and great company. Oh, so much in life to discover, isn't there? Yes to all those things, especially if I can do them with you! Libraries are cool! Reading and research aren't too bad either. There's so much to learn in life, and so many ways to do it. Isn't it marvelous all the new that blesses us each day? So glad you stopped by. I used to work in our small town library...still love being there! I giggled at the catalogs...I do too.